Arlington, VA, April 12, 2016 – PBS has announced the members of the 2016 PBS LearningMedia Digital Innovators Program, now in its fourth year. PBS LearningMedia, the free media on-demand service that offers more than 120,000 digital resources for teachers, is honoring educators from across the country who exemplify excellence in using technology and digital media to support student learning. A panel of esteemed judges selected 52 educators from throughout the U.S, its territories and the District of Columbia, as Lead Innovators, representing almost every state and Washington D.C., a first in the program’s history. The 2016 PBS LearningMedia Digital Innovators are awarded with year-long professional development opportunities, virtual trainings, exclusive resources from PBS LearningMedia Custom, a free PBS TeacherLine professional development course, networking opportunities and more. Additionally, the 52 Lead Digital Innovators will receive an all-expense paid trip to Denver, Colorado to participate in the 2016 PBS LearningMedia Digital Summit and the International Society for Technology in Education (ISTE) conference. The 2016 Lead PBS LearningMedia Digital Innovators are listed below (along with their schools and local PBS stations). 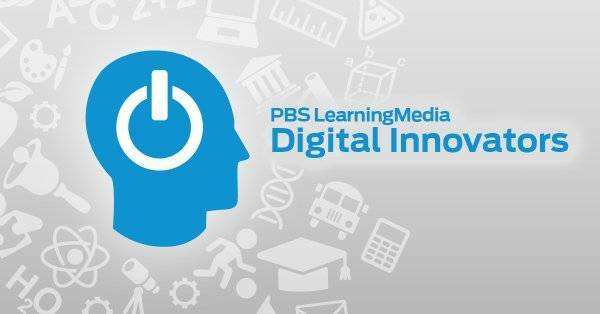 The full list of PBS LearningMedia Digital Innovators is available at http://www.pbslearningmedia.org/collection/digitalinnovators. In order to gain a better understanding of the effect that PBS digital resources have on student knowledge and engagement, PBS recently conducted a study of middle school science, math, English language arts, and social studies classrooms where resources available through PBS LearningMedia were integrated into existing curriculum. The PBS LearningMedia Impact Study, conducted by Education Development Center’s Center for Children and Technology, showed that across subject areas, student performance on content assessments showed significant improvement, increasing by eight percentage points. In addition, students outperformed national assessment norms by 10 percentage points, on average, and outperformed state assessment norms, by an average of 11 percentage points. For more information and to view the full study, please visit: PBS Learn More Report.